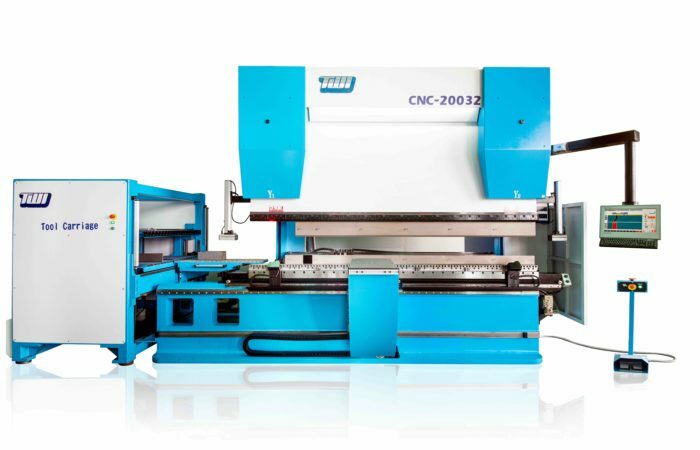 Toong Woei has been an expert in CNC press brake production for over 30 years. Achieving more than 10 patents and CE certification, our goal is to provide our customers with the best service, best quality and dependability. Toong-Woei is a Taiwanese enterprise with over three decades of design and manufacturing experience. 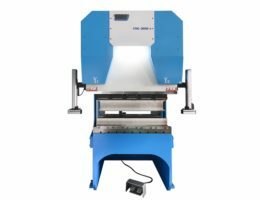 We provide a varied range of products from hydraulic and electric press brakes to shears and notching machines. We dedicate ourselves to meeting our client's requirements in this field. If you're looking for a good quality, low maintenance and reliable press brake made here in Taiwan, we would be delighted to serve you. 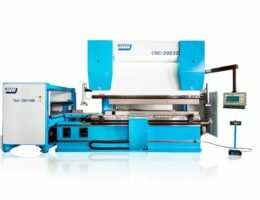 CNC synchronised hydraulic press brake with independent control of up to 8 axes. Energy-efficient and environmentally friendly servo motor, high efficiency with high precision. The steel structure provides frame rigidity, strength, stability and good resistance to deformation. Equipped with integrated crowning and hydraulic tool-clamping technology. Compact hydraulic piping system mounted precision servo valves enable proof possibility leakage, and make more stability. Die tools be auto crowning adjustment to ensure the bending angle of metal sheet are consistently during working process. Be able to quick change Punch/Die and the direction of clamping tools are able to interchange to start-up operating production immediately without to re-calibrate. 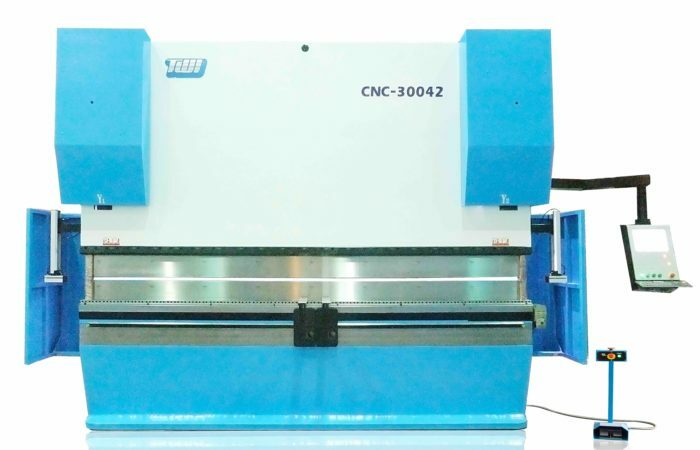 Equipped each one piece on both-side machine ability work with Y-axis for positioning the bending angle of workpiece as accuracy up to ± 0.01mm. 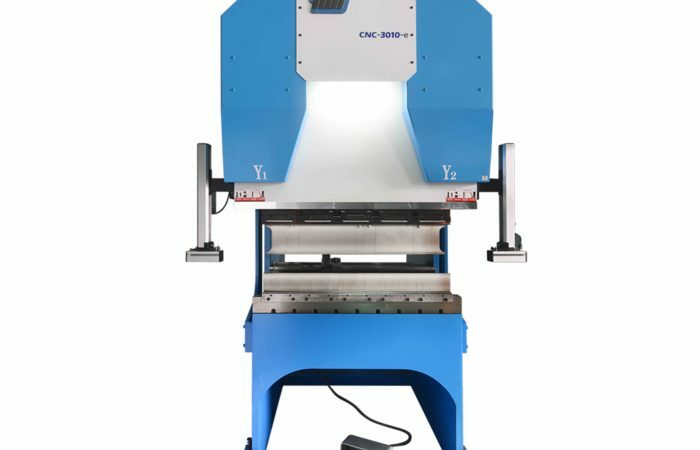 The Servo-Electric press brake is driven by a high inertia type servo motor and heavy duty ball-screw for positioning the Y-axis. The absence of hydraulic components makes this Servo-Electric press brake environmentally friendly, without the risk of oil pollution or oil leakage problems, as well as a more energy-efficient design compared with a hydraulic press brake.